Last night the top 7 performed Michael Jackson’s big hits in front of the cameras and his family on The X Factor. It was overall a great night. Melanie Amaro certainly came out on top and well, sadly, my guy, Josh Krajcik fell short because, he’s not comfortable in that genre. He should still be more that safe tonight. If you missed any of last night’s Michael Jackson tribute performances by the top 7, watch them HERE now. So what do we have on tap for you thing evening? Before the results come in, sending away TWO more contestants and revealing the final 5, we will get a guest performance by Tinie Tempah. He’s a British rap artist! And turning into a huge sensation here in the States. Take a quick second and vote for the TWO acts you think will be going home tonight HERE. Now keep refreshing the page…. we will have the results and recap going for you LIVE when the show airs at 8ET. UPDATE: The opening performance was thankfully a great one…. Man in the Mirror. One of my fave MJ songs. The first three that are SAFE and going through to next week are: Melanie Amaro, Rachel Crow, and Chris Rene! I am surprised. I was worried about Chris even though he was great last night! Congrats to him! 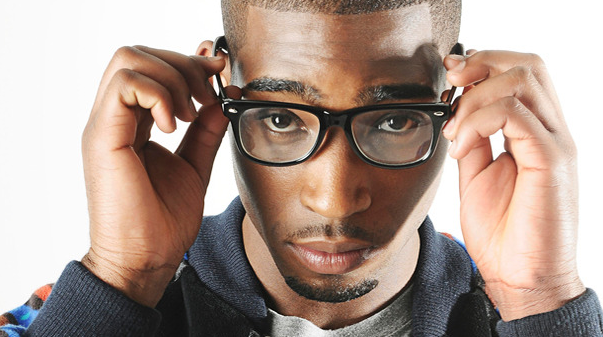 Tinie Tempah is up…. singing Pass Out. In a shocking fashion…. the person with the LOWEST number of votes was Astro! He was just sent home!!! Josh Krajcik is safe…. of course. Now Drew and Marcus Canty will be going head to head, singing for survival. It has to be Marcus going home. There is no way they will send Drew away. They will just warn her to change it up, get out of the chair, and do something upbeat, right? Right? RIGHT?!?! Drew sang first, Roxette, Listen To Your Heart. You know that for me, Drew can do no wrong. I love her and want her in the finals! How will the judges feel though? Marcus then sang, Neither One Of Us by the Gladys Knight. Ironic song choice, right? It was pretty pitchy. Don’t know how this will go! Yeah…. this is torture….. 3 more minutes…. OMG! They sent Drew home!!!!!! Simon is the only one who chose to keep her. The other judges are punishing Simon. This is BS. Drew is SO much better in the vocals department than Marcus. He’s already been in the bottom two. It’s Simon’s fault she got the boot. SO bummed right now. Lady Gaga ‘Marry The Night’ Official Full Length Video is HERE!